What To Expect From A 3 Bedroom Serviced Apartment In London? Serviced apartments have become very popular among business and leisure travellers. They are the answer to many of the problems caused by traditional accommodation options. At Carlton Court, we offer a luxurious selection of boutique serviced apartments so that you can make the most of your London stay. If you are travelling in a group, do check out our 3 bedroom serviced apartments in central London. Our 3 bedroom flats offer you the following amenities and facilities. ● Three separate bedrooms with comfortable and plush beds in a flat that is spread across 1,615 sq.ft. We offer a spacious master bedroom with ensuite bathroom. The second and third bedroom can have twin or double beds. If requested, we can also arrange for an extra bed or cot. 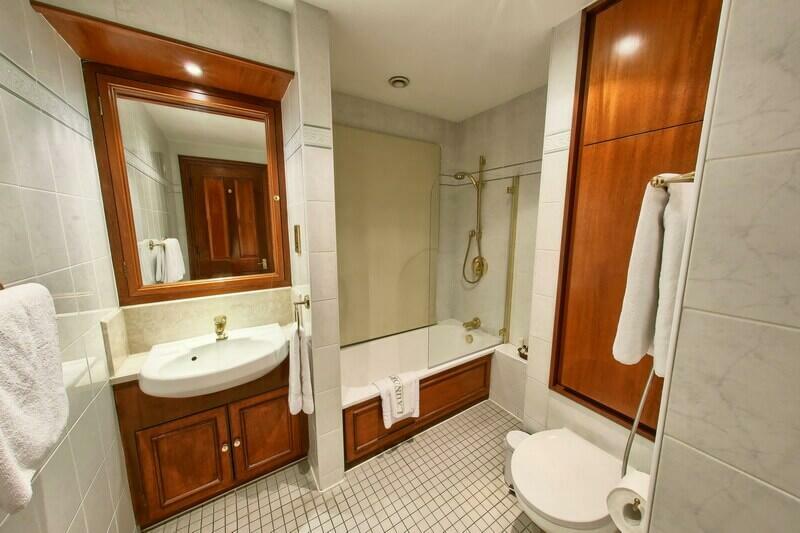 Each of the bedrooms comes with an attached bathroom featuring power showers. ● Our 3 bedroom flats come with a fully-integrated kitchen that has all the state-of-the-art appliances, crockery, cutlery, pots and pans that you might need to prepare a snack or meal. ● You will get a large living room equipped with LCD TV with Sky HD package, iPod dock and music system. The SKY HD package includes an extra satellite with approximately 2,000 channels including Russian, English, Arabic, French and Hindi. ● Our apartments come with central air conditioning systems, as well as, underfloor heating systems so that you are comfortable throughout the year. ● High-speed Free Wi-Fi in our entire flat so that you are always connected with your friends and family. In addition to the above-mentioned, living with us will automatically make you eligible for our 24-hour security and concierge services. Our apartments are maintained on-site so that there is always someone at the reception to take care of your requirements. We also provide complimentary breakfast to all of our guests throughout their stay. London has a lot to offer to any avid traveller. This city is perfect for a trip with family or friends. It is also a business hub offering great opportunities to corporate professionals. Get in touch, via email or call us today to make your reservations.